Top-quality for hassle-free mag carry. Hands-free carry at the range was never easier. Keep 4 reloads in easy reach to maximize your time on the firing line. Built-in Holster Leg Extender, too. 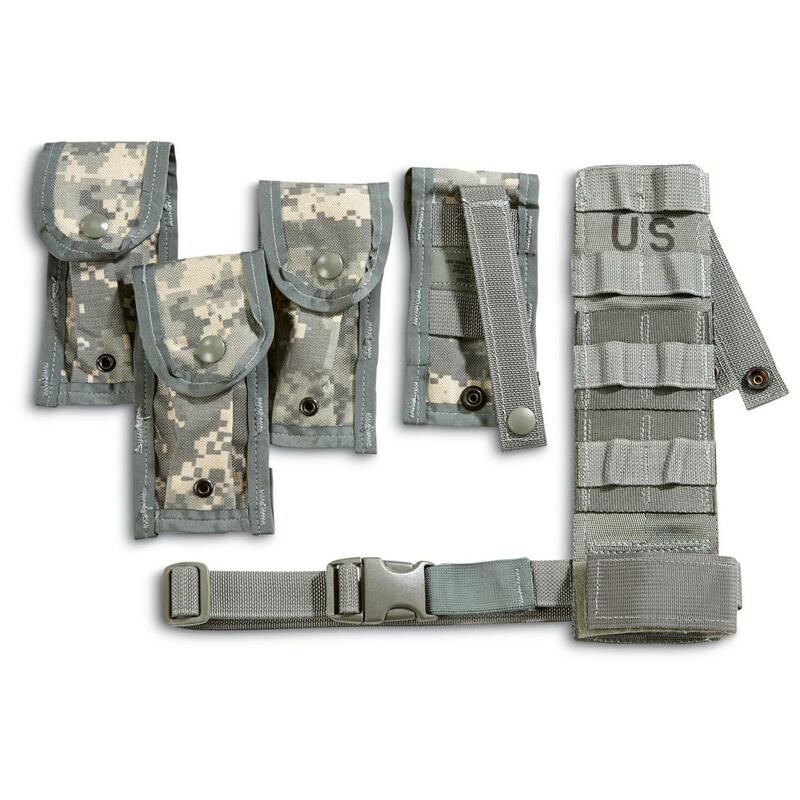 The exact same Pouches issued to troops, here in a glorious 5-pc. Set for 1 low surplus price!